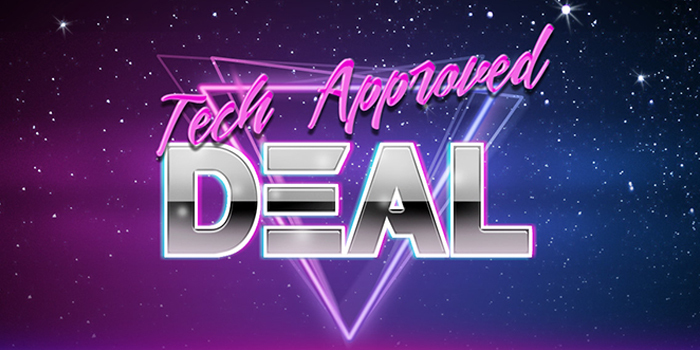 Each week the Solid Signal blog brings you a deal that a member of our tech team approves. This week’s deal doesn’t need one of our tech’s approval, even though they would recommend this product hands down. That’s because the QVS AC power outlet saver 10” extension cord is something that just about every household and many offices need. This is why it’s already one of our top-selling products. When you learn more about this power outlet saver, you might want it, too! This product makes it easy since it’s essentially a 10” extension cord. One end connects to those big, clunky power supply, while the other end plugs into the power strip. Since the cord features a standard-sized plug, this lets you use ever outlet on your power strip. Not only does this let you make the most of your outlets and power strips, it also eliminates the “spaghetti drill” that comes with using too many long cords. The measure of any product is if it has additional uses beyond the main one that everyone uses these things for. While the use for these products is pretty straightforward, there is another way to use them. These cords are sold in a five pack, and each cord is 10” long. That means you have a total of 50” of extra cord length. If you have something you need to plug in that fall just short of the power outlet, you can use one or more of these cords to close the gap. While most people might say, “Well, I can use my regular extension chord for that!” Well sure, you can do that. If you do, you’re looking at a gigantic mess of twisted and tangled cables and cords. (The “spaghetti drill” I referred to earlier.) If you’re missing your connection by just a few inches, why drag out that 50’ orange extension cord when one of these smaller black cords could do the job? So, Why Haven’t Our Techs Heard About It? Do You Want These Outlet Saver Cords? Just order them directly from the Solid Signal website. It couldn’t get any easier than that. In the event that you have questions about this product, you can always call our techs at 877.312.4547. Even though no one has called us about these handy AC power outlet saver extension cords from QVS, doesn’t mean that no one will. Get these power outlet adapter cords from Solid Signal today! What should you do with smart home products when they break?